Writing is one of those details, so we showed you 10 reasons that make writing skills essential in the job searching procedure. Make sure to remember our tips and improve your writing proficiency – it will make you a more desirable employee. Trying to accumulate enough experience and professional knowledge, most people forget a simple but very important fact – writing skills can make or break their job search hopes. Of course, you must know the basic principles of writing, but do you really understand minor details that separate proficient writers from amateurs? If the answer is no, then you take a break and think twice before sending your job application. In this post, we will show you 10 reasons why improving writing skills can help you to find a new position. Let’s take a look! First of all, writing skills will help you to create a better resume. Proficient authors know how to match the style and expectations of the target audience or recruiters in this case. If you are addressing marketing experts, you need to use their vocabulary and their tone of voice. CV and resume writers from cv writing service UK Careers Booster says: “Better writing skills – better job you have”. The same goes for all other occupations – finance, information technology, engineering, etc. Embrace their jargon to make an impression. It will make you sound more eloquent and familiar with the industry in general, which is a great starting point for the applicant. No matter what you are writing about, you have to proofread the text upon completion. Error-free documents prove that you are really doing your best and not letting anything ruin your professional efforts. Luckily enough, there are many useful proofreading tools such as Grammarly, Brill Assignment, Australian Writings, or SuperiorPapers. These platforms can help you to create flawless documents, thus making you a highly credible job candidate. If your grammar is perfect, it is highly likely that you are an educated individual who invested a lot of time and effort in studying. It’s an obvious sign of the academic background quality, so recruiters have every reason to believe that your professional knowledge is of the highest level, too. At the same time, people who take care of grammar rules tend to pay attention to details, which is yet another trait of the best employees. Let’s say that you are an accountant or a mechanical engineer. In each case, potential employers will demand an absolute precision and accuracy, but it’s more or less the same as all other occupations. 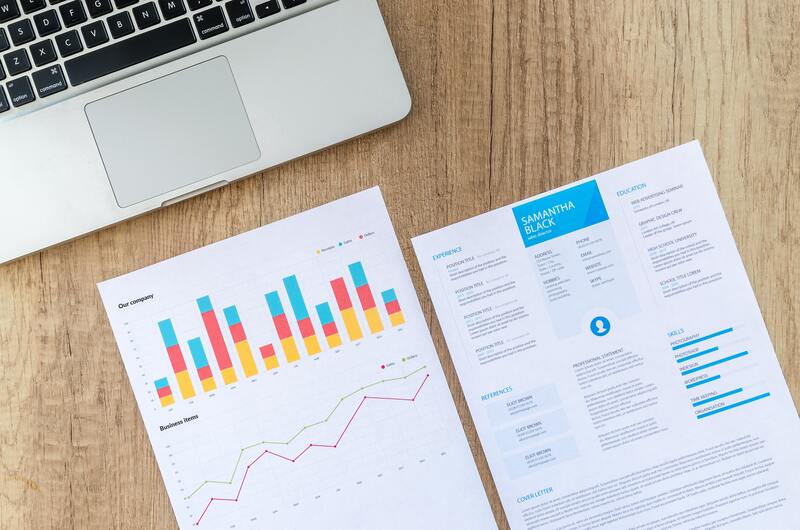 Therefore, you need to double-check all statements in the resume, cover letter, and the supporting documents in order to prove professionalism and reliability. Whenever you publish online content, make sure to read it again before posting to detect possible mistakes. Fact-checking also reveals that you are clever enough to take an objective viewpoint and examine your work, which is a rare case among less patient job searchers. According to the report, 75% of HR and talent managers use recruiting tools and applicant tracking software when hiring. What does it mean? It means you can improve the odds of getting noticed if you know the basic principles of SEO writing. You should use this skill while writing a resume, but also when posting content on social platforms because it will enable recruiters to find you easily. Make sure to add many niche-related keywords and frequently used phrases to allow potential employers to notice you well before other candidates. That way, you will have a comparative advantage over your peers/competitors. Readability is another important feature of a quality text. It depends mostly on structure, which means the content must have an introduction, a body part, and a meaningful conclusion. It’s a logical structure that allows readers to understand you quickly. Besides that, use a lot of whitespace to separate each section. Stick to the shorter sentences with actionable statements and focus on professional achievements, not sheer descriptions of your current job or previous positions. Most of the online communication is purely textual, which means you need strong writing skills in order to express your opinion adequately. Try to establish yourself as the industry thought leader to earn followers who are willing to engage in communication through questions and comments. To put it simply, written communication gives you the opportunity to meet new people online and expand the network of professional contacts. That way, you can learn about fresh business ideas and perhaps even launch your own company with a partner. Did you know that the average corporate job opening attracts 250 resumes? It’s a huge number that really minimizes the odds of earning a job, but writing skills can often help you to get the foot in the door. How come? Well, let’s say that you have more or less the same professional references and experience as all other top 10 candidates. In such circumstances, recruiters have to look even for the smallest details to distinguish candidates from one another, so your writing proficiency might give you that much-needed extra boost in the candidate selection process. Job negotiations are strictly formal and there is no room for jargon or colloquialisms. On the contrary, you must keep the language completely professional to convince recruiters that you are a legit candidate. In case you are a good writer, it won’t be a problem to change the style and create content that meets the rigorous criteria of professionalism. People usually don’t put writing skills and productivity in the same sentence, but the truth is that quality writing makes you more productive. HR managers are well aware of this fact because they know that the majority of workers waste a lot of time sending emails and messages back and forth without sealing the deal. Showing that you can write clear and concise messages, you also prove communication skills that are necessary for the efficient teamwork. Finding a new job is not easy, particularly if you have to compete with dozens or even hundreds of peers for the same position. In such circumstances, every little detail plays a major role in the eyes of the recruiter.